Hello Everybody! Once again it's been a really long time since I've made a blog post here. If you guys want to see content from me as timely as possible my tumblr is the place I post the most. Anyways lets catch up on all the figures I have gotten this year. First up is my January order. This had two Sega Saturn themed figures. 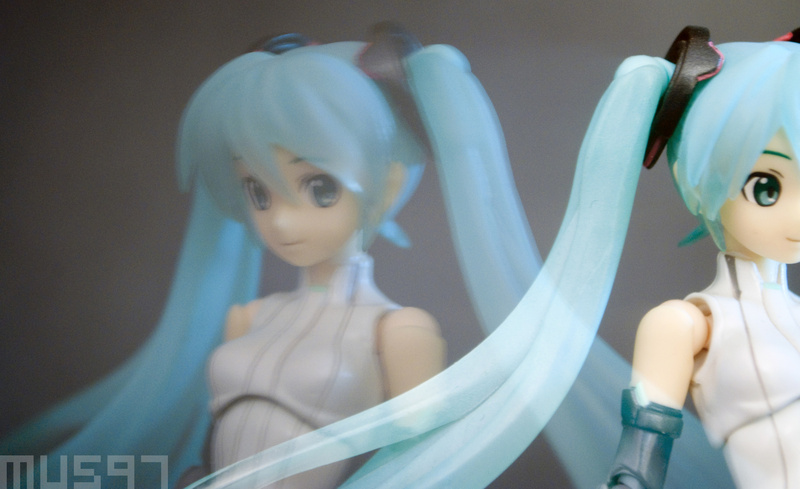 The statue was the main figure, however it arrived broken with one of her twin tails broken off (this seems to be a fairly common problem) Goodsmile was kind enough to sent a replacement, however She too was broken. So I glued them back together and now I have two! Fun fact- This figure is called "skeleton" Sega Saturn because in Japan the word skeleton is often used to refer to a version of something made out of clear plastic. 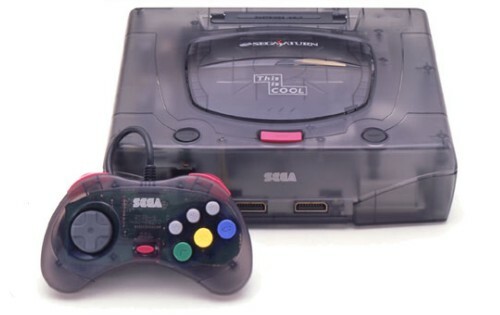 (Game consoles in particular) The real Skeleton Sega Saturn. The Nendoroid thankfully was without issue. It's a nice Nendoroid though it doesn't offer much for those uninterested in the character, the mini Sega Saturn console being the figures stand out accessory. This figure also comes with "cream" parts which works similarly to those cheep sticky toys (I don't know what there called) It's neat and has potental for use in pervy figure photographs, but of course the second I open the package they fall on the floor and get covered in lint. The other figure is of Chichi from Dragon Ball. I'm not that big of a DBZ fan but it's nostalgic and I really like Toriyama's earlier artwork. 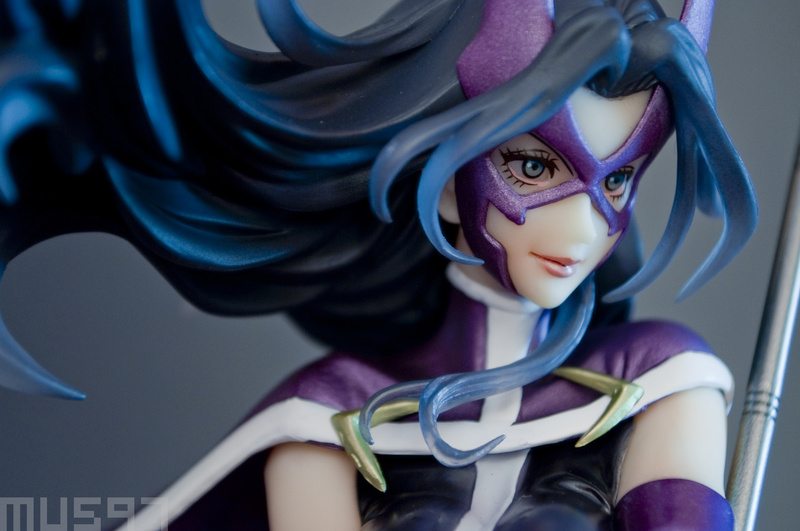 These figures are perfect for me as they are cheep and small but still look really nice. Also some sad news. 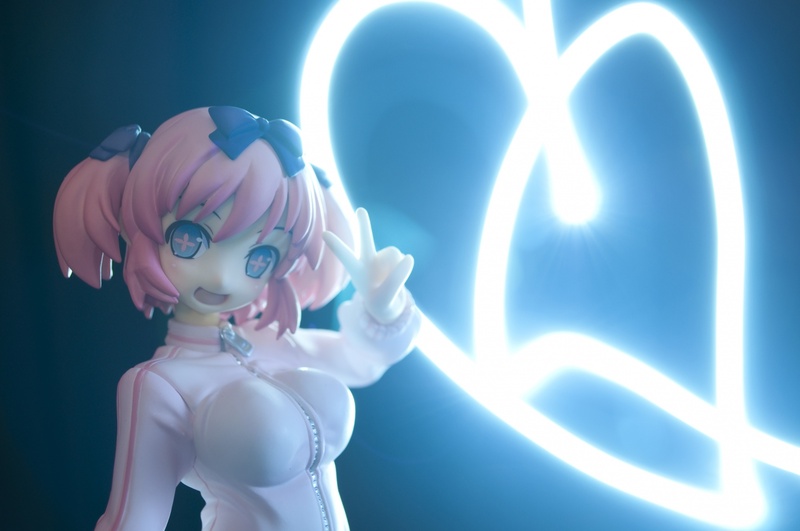 These Pochaco and Chichi photos are the last photo set with my lighting setup, as the photography lamp I was using died on me during this set. The lamp seemingly caused the power to go out in my house, so it's unsafe to continue using it. At the moment my plan is to switch to using the dark backdrop as my main and experiment again with low light and long exposure times. Here are some examples of this from the past. Thats all for now. Hopefully it wont take me as long for the next post! (no promises though!) SpoilerJust follow My tumblr. Update - I just did a test of the low light photography and I think they came out really great! Great photos, Saturn looks gorgeous! Surprised that they sent you a new figure, without the necessity to return former. It's a pity of course that she, too, was broken. It surprised me too! I was expecting them just to send a new head not the hole thing. However this second figure didn't include any of the removable parts (the staffs and collar) or even a base. Hey, man, i always wanted ask you one question: what are you using for background - lightroom or some material? I use a thin poster board. It looks like this set up. It looks like this set up. Oh, really? You doing great photos with that. I'm impressed! I don't have an instagram, It's not for me. But thanks anyway! Can't exactly say why, but the Pochaco figure looks very attractive to me. Great loot and great photos.